Founded in 2002, Kylie Hammond Executive Search and Coaching Group is a world-class independent consultancy that offers comprehensive career management services. It operates across the Australian, New Zealand, Asia, Europe and USA markets, and specialises in providing executive search and advisory services to organisations, and career management programs to selected individuals. For over a decade, the Kylie Hammond Group has been a leader in this field offering unique services and programs to clients. The Group represents executive candidates via the exclusive Talent Management Programs, manages a number of Executive Search engagements and coaches a range of clients across executive, leadership, sales, business, women’s issues and career development areas. As a specialist in the career coaching field the Kylie Hammond Group has helped executives at all levels change careers, achieve promotions, negotiate improved salary packages and implement work life balance strategies which make a significant difference. Working in partnership with many of the top CEO’s in the Asia Pacific region, the confidential career management support has helped hundreds of senior executives execute highly confidential career moves, implement portfolios of employment and business activities. We have helped them secure Non Executive Director and Director level Board appointments, and combined with Not-For-Profit, Public Speaking, Coaching and Mentoring engagements, create fulfilling and exciting career portfolios. Kylie Hammond offers a unique service and approach to identifying, attracting and retaining top talent, with a commitment to client service and building long-term client relationships. 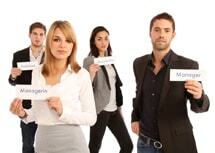 The company has extensive executive search experience in identifying and recruiting leaders. Executive candidates of appropriate calibre for most clients are likely to be currently performing successfully in a competitor firm or in a similar role elsewhere in the market. The consultancy’s strength lies in identifying and attracting candidates through the research capability, proactive networking, and proven ability to reach into key markets to identify and source top talent. The range of programs offers clients a proven search methodology, leading-edge systems and processes, combined with a rigorous selection process that is designed to achieve amazing results! Real value is added to the recruitment process with an exclusive 12-month replacement guarantee for every placement sourced through the Executive Search & Selection Programs. Kylie Hammond Business Mentoring is action and results-focused. The programs are offered exclusively to CEOs, Managing Directors or General Managers who have end-to-end business unit and leadership responsibility. The high calibre team of business mentors work closely and confidentially with our clients, to improve profits and business performance, with a focus on leadership and personal development. Business mentoring is aimed at the individual achieving their full career potential while transferring their improved ability to manage into sustainable business initiatives. Talent Management is essentially about pro-actively targeting individuals in the top 10% of their industry and profession. It is a clearly defined strategic initiative designed to identify and attract people that can pro-actively address future recruiting requirements, versus a reactive approach that may involve filling a current vacancy. Finding and retaining key talent is an issue that has become increasingly critical for companies who need to achieve and maintain competitive advantage. Increasing market share, boosting productivity, improving margins, and decreasing costs have become standard deliverables for corporations worldwide. Kylie Hammond’s expertise lies in building the platform, managing and executing a best-practice Talent Management Program. The Executive Coaching Programs are aimed at talented executives who want to develop their leadership capabilities thereby adding a more powerful edge to their leadership style. They will assist leaders to step back from everyday tasks, and become highly effective at creating dramatic results, by recognising and releasing the hidden potential of all members of their team. These programs are also designed to help clients retain top talent to the business, and help the candidate become a successful new addition and top performer in their new environment. Traditional upward mobility is no longer the vertical route it once was. Ambitious executives in contemporary organisations will increasingly want to manage and take control of their careers in a strategic and proactive manner. The Kylie Hammond Group has developed career management programs that cater for senior executives looking to implement a new career plan and identify opportunities in their chosen field, as well as seeking greater balance and meaning in their lives and careers. One-on-one executive career coaching utilises mentoring, strategic networking and a variety of research and support services to facilitate executive career transition, including sourcing new senior roles or entrepreneurial ventures. 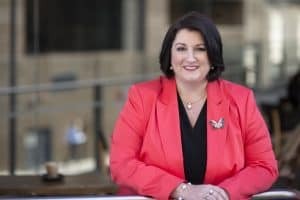 Kylie Hammond is a leading Executive Search, Board Talent Management and CEO Mentor who owns and operates a number of successful executive search and talent management businesses. Through her Executive Career Management and Board Portfolio offerings, and has worked one-on-one with many of the top CEO’s in the Asia Pacific region for the past decade. During this time she has helped execute numerous career transitions, implement portfolios of employment and business activity, and secure Non-Executive Director and Executive Director Board appointments. Kylie has over twenty years of experience leading Human Capital Management & Performance Management Programs. Kylie is a certified Human Resources Practitioner, Fortune100 Executive Coach and has over 20,000 hours of practical coaching experience. She is also certified to deliver and implement Full Circle Feedback 360-Degree Assessments and is highly experienced with the suite of Extended DISC tools and systems. Kylie Hammond is a co-author of In the Spirit of Success: Inspiring Stories from Entrepreneurs Around the World along with other renowned visionaries, authors and world-class leaders in the personal empowerment and success fields such as Deepak Chopra, Dr. Wayne W. Dyer, and Esther and Jerry Hicks. The book provides 38 inspiring stories from highly successful people from all over the globe. She is also the author of The Executive Candidate’s Survival Guide, published in 2012. • Kylie Hammond Executive Search and Coaching Group and its service offerings. 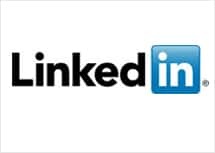 • Current trends in HR, Executive Search, Executive Coaching, Business Mentoring and Talent Management. • Books authored: In the Spirit of Success: Inspiring Stories from Entrepreneurs Around the World & The Executive Candidate’s Survival Guide.